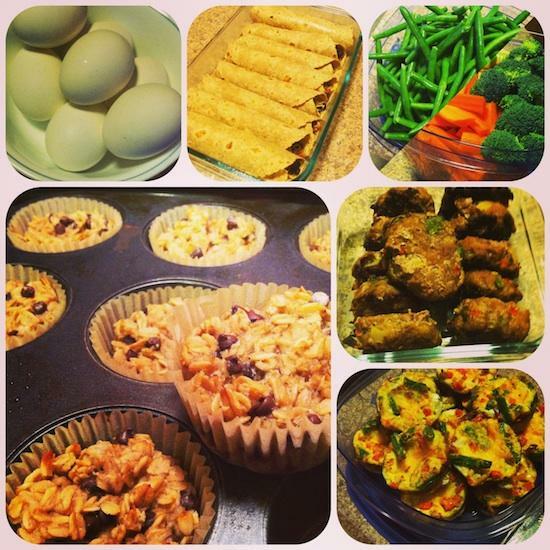 Time for another round of Sunday Food Prep AND our very first Link Up Party! 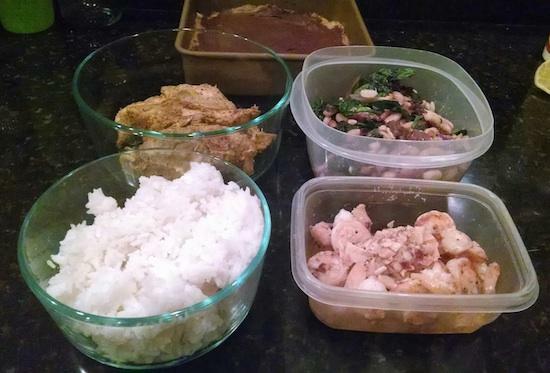 This week I’ve made homemade protein bars (your recipe), white beans and spinach, curry chicken tenders, coconut rice, and garlic shrimp. 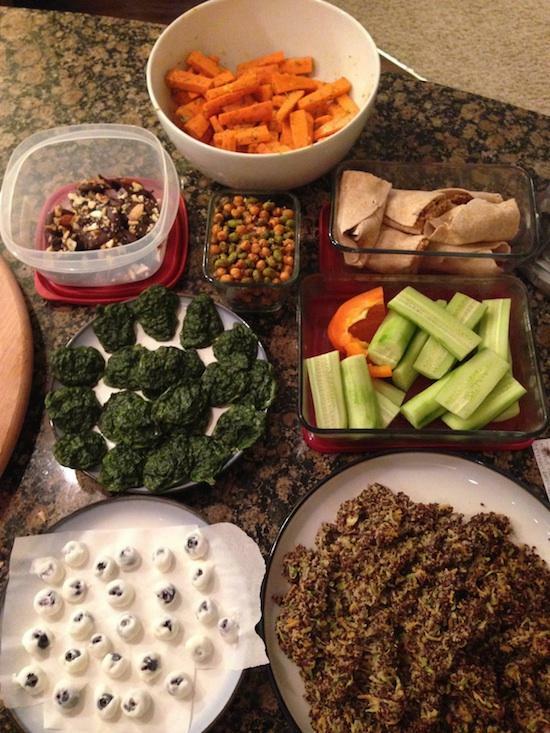 Not pictured: green beans! 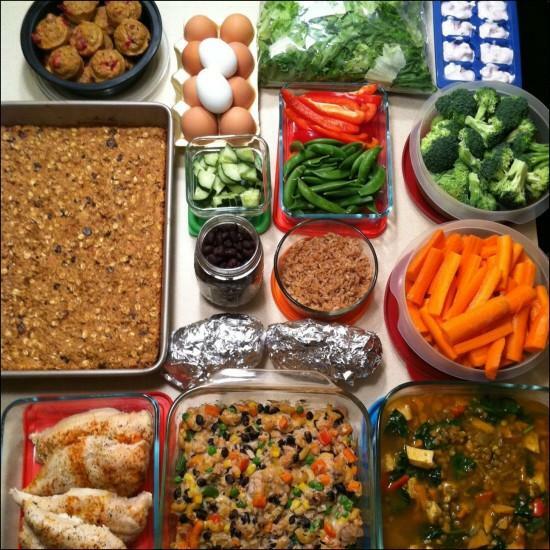 The spinach and white bean mixture will be eaten with the shrimp; the coconut rice, chicken, and green beans will be a meal, and the protein bars will be used for a quick lunch at work. Lots of great ideas there! I am going to do all my prep this afternoon. Some kind of power packed quinoa salad this afternoon for after my 16 mile long run! Today is my last gluten free day! Mushroom rice on Tuesday. The rest of the week will be leftovers. I am definitely not at your level yet. 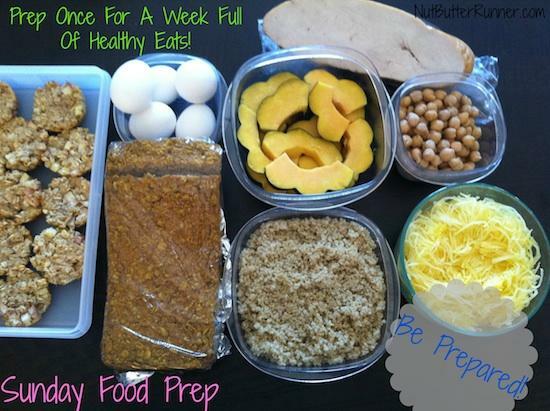 But I also have the benefit of only working part time so I do a lot of prep during the week. 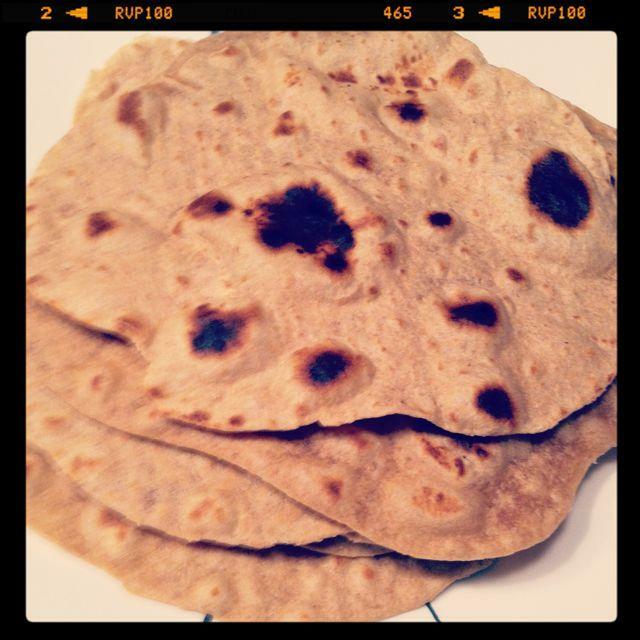 I usually prep on Sunday as far as making homemade pitas and flatbreads for my husbands lunches and easy weeknight meals. This week I also roasted a whole chicken for roast and veggies one night, stock for risotto and soup, and shredded meat for empanadas, chicken salad and soup. Plus, I also take all of the stems off my fresh parsley and cilantro so it lasts longer, then use the stems and all my garlic and onion peels for my stock! what a great idea with the stems! love it! I love these posts and look forward to them every week! Here is one I wrote a couple weeks ago! Thanks again for the inspiration! 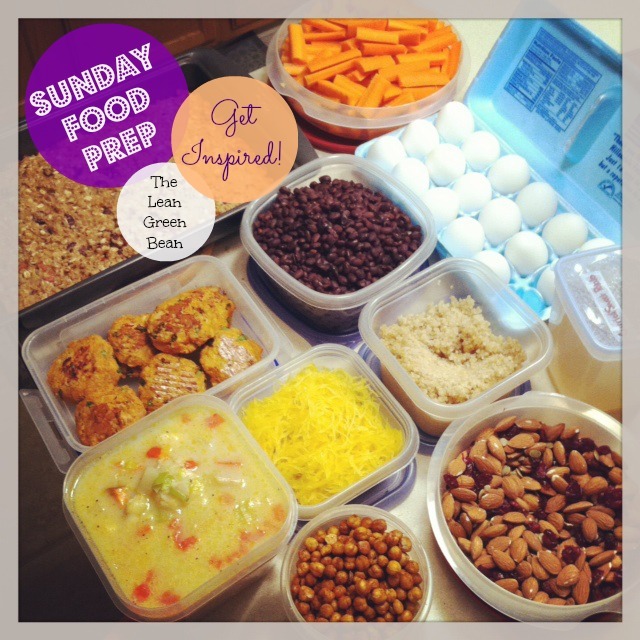 I food prep every Sunday with healthy snacks and quick meals. However, I seem to be the only person that eats it. 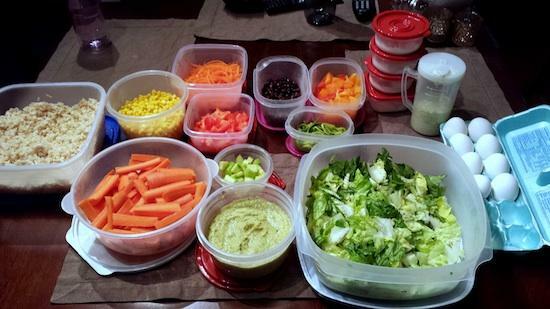 My boyfriend is such a picky eater and can be closed minded about healthy variations. Any advice? [WORDPRESS HASHCASH] The comment’s server IP (192.0.83.97) doesn’t match the comment’s URL host IP (192.0.81.250) and so is spam. [WORDPRESS HASHCASH] The comment’s server IP (64.156.192.111) doesn’t match the comment’s URL host IP (64.156.192.112) and so is spam.